A pair of pear-shaped diamond earrings, Apollo and Artemis, which are almost 16 carats each, has been sold at an auction in Geneva for a world record price of $57.4m (N22,099,000,000). 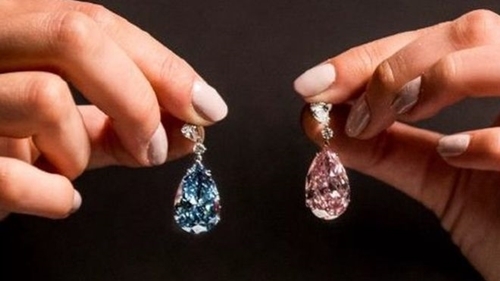 A pair of diamond earrings have been sold at auction in Geneva for a record-breaking price of $57.4m (£44.4m). The flawless stones mined in South Africa are perfectly matched except for their colour - Artemis is pink, and Apollo is blue. 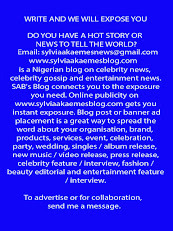 Sotheby's chief auctioneer David Bennet said that coloured diamonds are extremely rare "show stoppers". "These are in their own right extraordinarily rare stones, but taken together they are unprecedented, they are absolutely stunning," he said. The earrings were bought by an anonymous buyer, media reports say, but will be kept as a pair. Apollo and Artemis differ in one crucial area - their respective prices. Apollo sold for $42.1m while Artemis went for $15.3m. The pure vivid blue of Apollo - from the Cullinan mine in South Africa - is rarer, and therefore worth more than the intense pink Artemis. 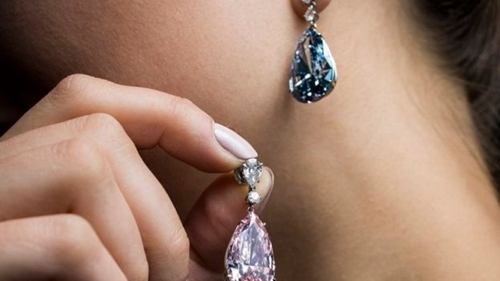 The BBC's Imogen Foulkes in Geneva says the earrings were the stars of Geneva's spring jewellery auction and Sotheby's initially offered them separately, after they wrongly assumed that a buyer with the wherewithal for both might actually be rarer than the diamonds themselves. But the earrings sold some way below their estimated prices of $70m.